With its magnificent landscapes, captivating wildlife and fascinating indigenous tribes, not to mention its startling dancing lights, the Arctic is one of the most coveted travel destinations on earth. Vastly different to its southern counterpart, Antarctica, in almost every aspect, the Arctic is equally spellbinding and alluring. Easier to reach and offering an absolute kaleidoscope of experiences both on land and at sea, the northernmost region on earth is primarily revered for its polar bears and its Northern Lights, although if you’ve been lucky enough to visit, you’ll know that both these treasures are but the tip of the iceberg. Pun obviously intended. Yet if you’ve landed on this page, chances are you have yet to visit. Lucky you! The excitement of an impending Arctic expedition is thrilling to say the least, as long as the planning of it doesn’t get too convoluted, right? So here we are, with our Arctic Travel Guide – PLANNING ADVICE – a comprehensive guide that aims to guide you through the maze of decisions that any journey to a remote region of the world entails. We’ll aim to answer the most oft-asked questions (like, where is the Arctic, actually, and what does one do when one gets there?) and cover the most important aspects of a visit. From what to pack to where and when to go, what to expect and what kind of wildlife you’ll encounter: your once-in-a-lifetime Arctic expedition starts right here. Considered one of the world’s most rewarding travel destinations, the Arctic exists in a cosmos all of its own. Home to an astonishing array of unique animals, many of which simply can’t be spotted anywhere else on our planet, the Arctic region is a harsh, seemingly inhospitable place. Yet people still live here, unperturbed, the way they have for centuries. The indigenous inhabitants of the Arctic are fascinating to meet and add a stellar cultural element to any expedition. Inuit villages, rich in culture and history, welcome visitors with grace and boundless hospitality and make for some of the most unforgettable memories. History, by the way, is absolutely everywhere in the Arctic. From the relics of old hunting stations to the trails left behind by some of mankind’s most formidable explorers, the Arctic region offers an infusion of historical legacies that invigorates the souls. Then…there’s the nature. The spectacular, unrivalled nature of the Arctic. The frozen ice floes, the vertiginous icebergs and fjords, the glaciers and the deceptively barren tundra, all sensationally enriched ecosystems that attract wildlife in droves. Polar bears and caribous, Arctic foxes, six species of seals and four species of whales converge in the Arctic. Narwhals, reindeers, walruses and grizzly bears…they’re all here too. Some for a few months of the year, others have made this dramatic place their home, all year long. The wildlife is the cherry on the delectable Arctic cake and, understandably, the main enticement for many first-time visitors. Climatic changes over the last few decades have made the Arctic one of the most precarious regions on earth. 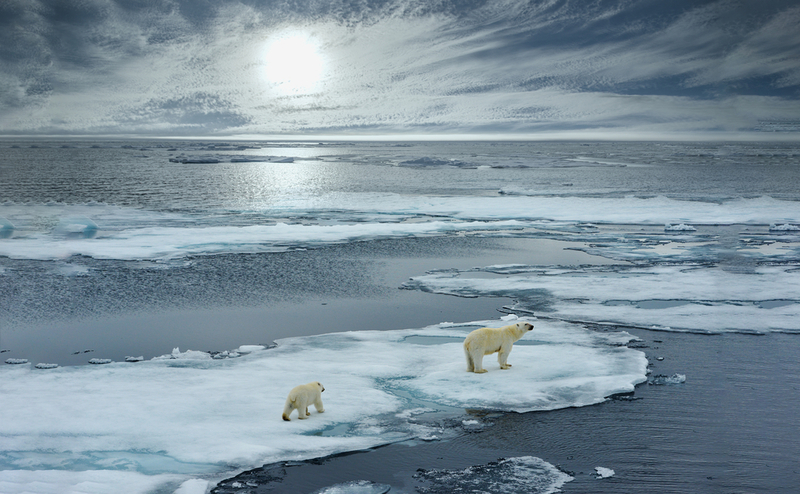 A place that normally shifts and evolves through each season and year, and one that is dramatically threatened by global warming, the Arctic – and its prime resident the polar bear – have become unwilling ambassadors for avid environment protection on our planet. This is the place you must visit if you want to learn about the effects of global warming and of our need to abate our impact on this stunning planet of ours. Everyone visits the Arctic for their own personal reasons, everyone has a dream and a drive that’s unlike any other. 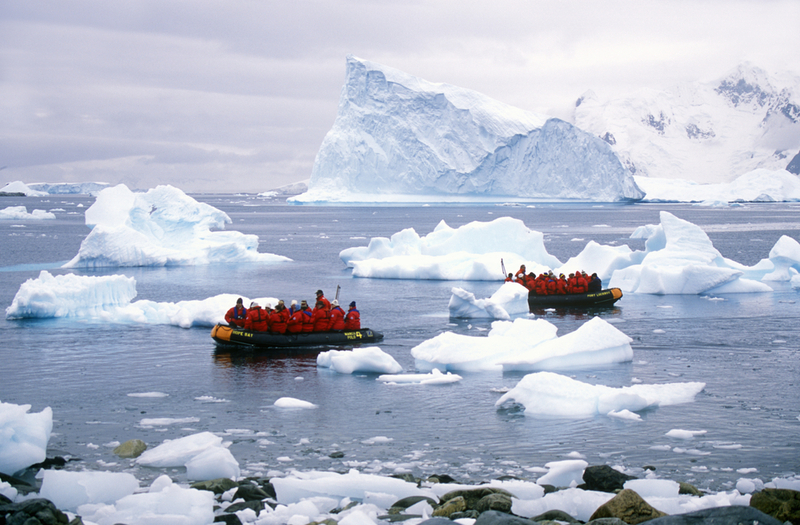 Your ‘why, Antarctica’ will likely be unique yet no matter the reason you join an expedition to the Arctic, you can rest assured that it will be one of the most soul-stirring travel experiences you’ll ever have. The Arctic is simply unforgettable. Where and what is the Arctic? The Arctic Region encompasses the North Pole, the Arctic Ocean, the regions of frozen tundra landmass belonging to eight countries – namely the US (Alaska) Canada, Norway, Sweden, Russia, Iceland and Greenland – and all the frigid seas in-between them all. The region is denoted as everything north of the Arctic Circle line, which is at a latitude of 66° 33′, north of the equator. Temperatures in this extreme environment range between a frosty -40 C in winter and a rather balmy 10 C in summer, making this region comparatively warmer than Antarctica. You can read more about all the major differences between the Arctic and Antarctica to get a better idea of how distinct the two polar regions really are. 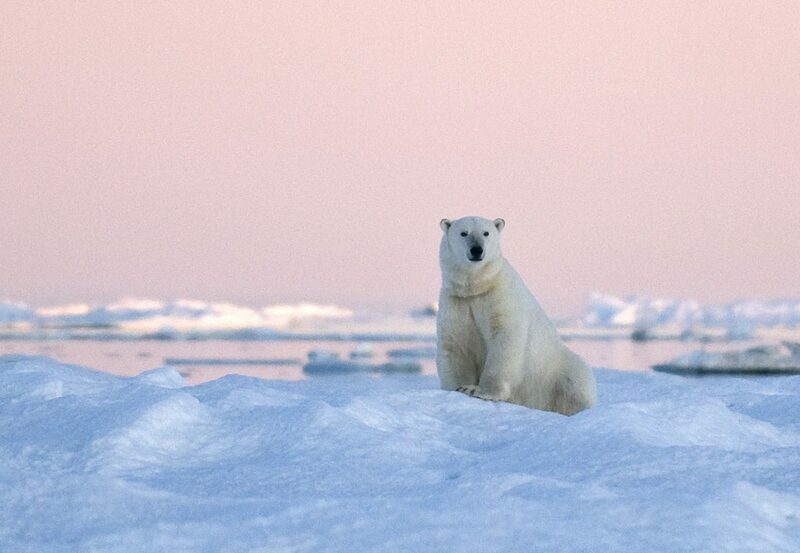 Pssst…There are no polar bears in Antarctica! The region covers over 14.5 million square kilometres with the Arctic Ocean making up the greatest portion. The waters here are immensely nutrient-rich (as all cold seas are) which is what attracts such a mind-boggling array of marine wildlife. The second-largest desert on earth (after Antarctica), the Arctic itself – as opposed to the Arctic Region – is not a continent or even a land mass but an enormous sheet of ice floating on the Arctic Sea. This is what makes it uniquely susceptible to the warming of the seas and what is making it melt faster than its southern brother. Given the extent of the Arctic region and its proximity to several continents, there are several springboards for Arctic expeditions. The most popular are Greenland, Canada, Russia and the Spitzbergen Archipelago, which is a territory governed by Norway. Each region offers a unique set of experiences so learning more about each one before you set your plans in stone is a great idea. Our Insight Guide to Arctic Expeditions details your options of the abovementioned destinations and includes an introduction to a sensational Expedition to the Barneo Ice Camp at the North Pole, which belongs to Russia but is actually best reached via Longyearbyen, the capital city of Spitzbergen. A remote and magnificent place to visit, Greenland is the world’s largest island and one which enjoys plenty of autonomy although it’s loosely governed by Denmark. Greenland is just southwest of Spitzbergen and just east of the Canadian coast. One of the world’s least populated regions, Greenland is an exceptionally secluded destination on Arctic explorations, perhaps second only to Russia’s Far East. 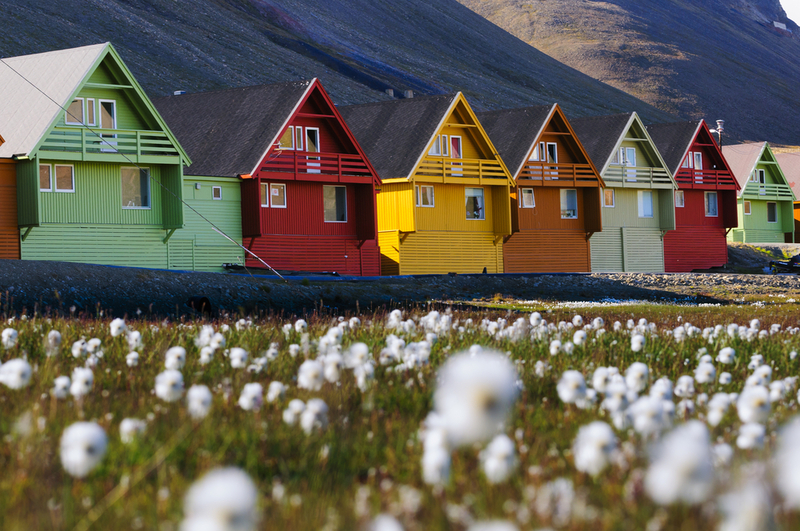 Bursting with wildlife and ethereal landscapes, Greenland is revered for its cultural assets. Indigenous locals are descendants of the Inuits and a visit here will undoubtedly include cultural elements to boot. 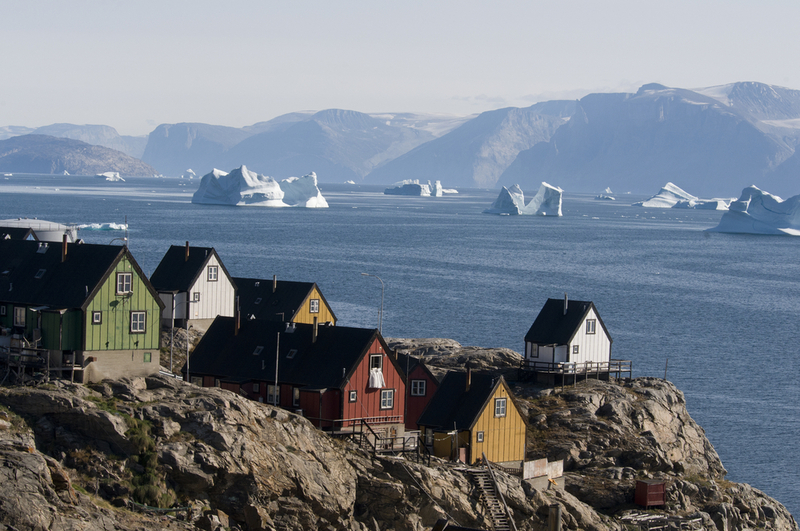 Our Guide to Greenland Arctic Expeditions explores the island and all its superlative highlights. The second-most popular choice for Arctic expeditions – after Norway – Canada needs very little introduction. Considered the most comprehensive destination in the Arctic Region, thanks to its famous native Inuit culture, its array of Arctic wildlife and its breath-taking nature, Canada is also the boarding point for very coveted crossings of the Northwest Passage. Canadian Arctic Expeditions are particularly suitable for those who wish to indulge in a lot of different outdoor sports; these cruises offer a lot in terms of excursions and activities. Read our Guide to Cruising the Northwest Passage to get an idea of what to expect of this incredible adventure and find out more about the Highlights of a Canadian Arctic Expedition. Not to be outdone, the Russian Arctic region offers truly EPIC adventurers in a place that’s about as remote as can be. Far East and even farther north, Russia’s Chukotka Region is mystical, unexplored and incredible pristine. This is the Arctic of many people’s dreams, the one that sees fewer visitors and the one that’s effectively been isolated from the West for decades. Well, your chance to explore it is here and now. As far as Inuit culture is concerned, this is where it all began, where they all originated and exploring this very ancient land of very ancient people is astonishing, to say the least. Perfect for those who have a bit more time up their sleeve, Chukotka Expeditions are on another level altogether. No bling, no fanciness yet with still plenty of warmth and comforts, these ‘out there’ expeditions bring you an Arctic experience that you simply won’t find anywhere else. Our Guide to Chukotka offers a comprehensive introduction to this incredible destination, its history, struggles, people and its recent rise in popularity. 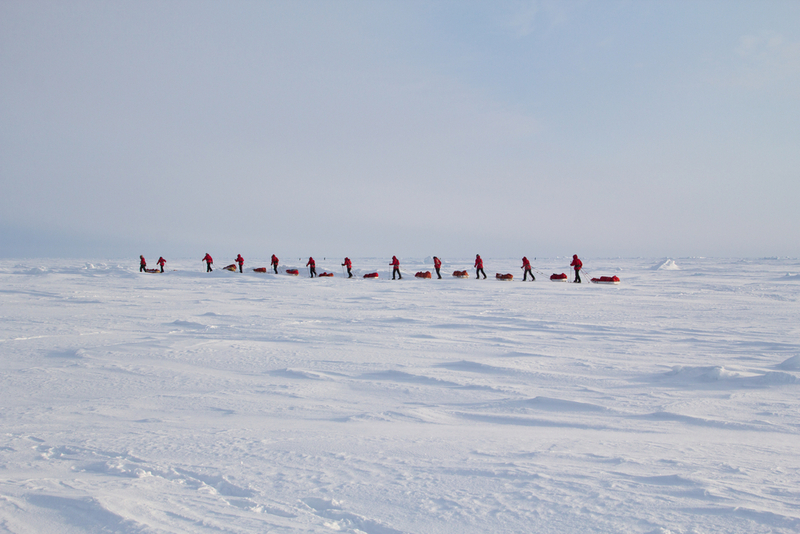 Find out more about the unforgettable Highlights of a Russian & North Pole expedition. Norway’s northernmost archipelago is the most popular springboard for Arctic expeditions and that’s not only due to its proximity with mainland Europe. This is considered the Arctic’s ‘wildlife capital’ and the place where your chances of spotting more creatures on shorter cruises are much higher. The island of Spitzbergen is the only permanently inhabited island on the Norwegian Arctic Archipelago. Spitzbergen (in Norwegian/Russian/German) and Svalbard (English/Sweden) are interchangeable names, in case you get confused whilst researching – so you will find either one used intermittently in just about every blog or website. To add to the confusion, both the archipelago and the main inhabited island (the only inhabited island, actually) both bear the same name. But let it be known that they are one and the same! Many publications like the National Geographic simplify the issue by calling the archipelago Svalbard and the main island Spitzbergen, which is what we have also done. Our comprehensive Spitsbergen Guide introduces you to this magical icy wonderland; a place that is home to more polar bears than humans. This is a truly remarkable place and if you have time you’d do well to add a few spare days here, either before or after your Arctic expedition. There’s a ton of stuff to do both in summer when the sun is resplendent, and in the magical winter, when the whole place is drenched in a cloak of vibrant Northern Lights. Our Guide to Svalbard details all the top things to do in the main city of Longyearbyen (including the very interesting museum) and the array of unique outdoor pursuits like dogsledding, snowmobile excursions and kayaking through fjords. And last but not least, because we are lovers of adventures way off the beaten path (and we know you probably are too) we’ve compiled a sensational list of expeditions that bring you to the Arctic off the beaten track. How to reach the Arctic Region? What can you do in the Arctic? All Arctic Cruises include an abundance of Zodiac excursions that you get you onshore exploring the land, visiting national parks, going wildlife-watching and visiting local communities. Excursions are always weather dependent, of course, so daily itineraries can be changed at the last minute. But rest assured that the main priority for all expedition leaders is to show you the absolute time of your life whilst still keeping you safe. When it comes to extra-curricular activities, like snowshoeing, hiking, dog sledding etc, this is very much determined by the ship you choose so read inclusions carefully or, better still, let us know what activities you wish to partake in and we’ll match you up with a suitable itinerary and cruise ship. Cruising among icebergs and in the heart of fjords in the Arctic is a wonderful experience yet many of the most memorable experience will unnotedly come from excursions and activities off the ship. In the Arctic, you can spot whales and bears, swim in polar seas and kayak through vertiginous fjords. You can hike to stunning viewpoints, learn songs of the ancient Inuits and be left in awe of the sweeping, out of this world landscapes. You can retrace the steps of ancient Vikings and old-world explorers and be left speechless by the spectacle of the Northern Lights. You can climb glaciers and ski on Arctic snow or try your hand at deep sea fishing. All of this…in the company of a crazy bunch of hardy creatures. Because if there’s one thing that’s just about guaranteed on every Arctic Expedition, is the sighting of an impressive amount of wildlife. What is the wildlife like in the Arctic? Due to the uniqueness of the region and its inclusion of both land, ice and nutrient-rich seas, the Arctic Region is absolutely awash with unique wildlife. Our guide to the Wildlife of the Arctic lists the most iconic animals you are likely to encounter and gives you a brief overview of which animals live in the Arctic permanently and which ones are visitors (like you!) and the kind of evolutionary adaptations that have made them resistant to the harsh climate. Of primary interest to many visitors is the select group of animals that can’t be seen anywhere else aside from the Arctic and immediate subarctic region. 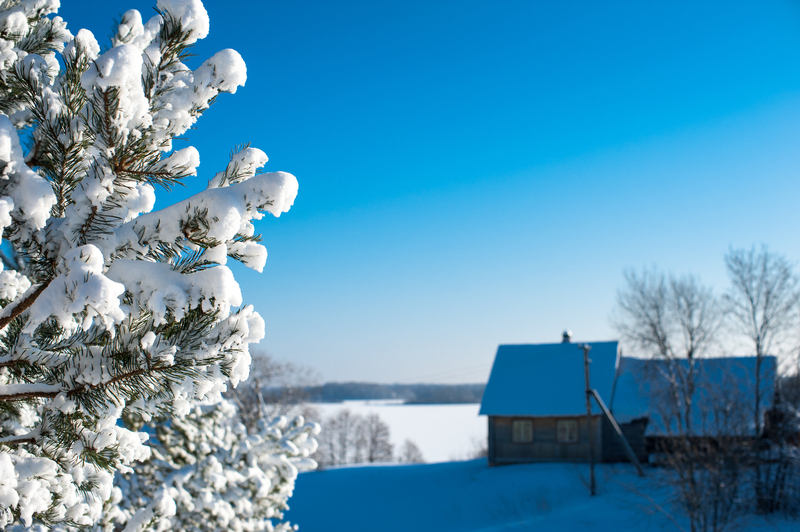 What to pack for an Arctic expedition? Don’t let the ‘summer cruising season’ fool you into believing that the Arctic Region, in the middle of the year, is a balmy place. The unpredictability of the weather at this latitude means you should always be prepared for sudden changes and, usually, they won’t be too favourable. Your clothing should be warm and practical, lightweight yet waterproof. You should plan on wearing layers to accommodate changes in temps and always have waterproof boots that rise past your ankles. Refer to our comprehensive Packing Guide for Arctic Expeditions for more detailed info. Unlike its southern counterpart, the northernmost region on earth can be visited at any time of year: in the northern summer for cruising, sightseeing and wildlife watching and in winter for viewing the magnificent Aurora Borealis, or Northern Lights. Every month of the year offers something unique and wonderful in the Arctic, however, there has to be enough ice melt for small cruise ships to sail through and explore. For this reason, cruising expeditions set off during the short Arctic summer (which, unfortunately, is getting longer every year due to climate change) in the months between June and September. 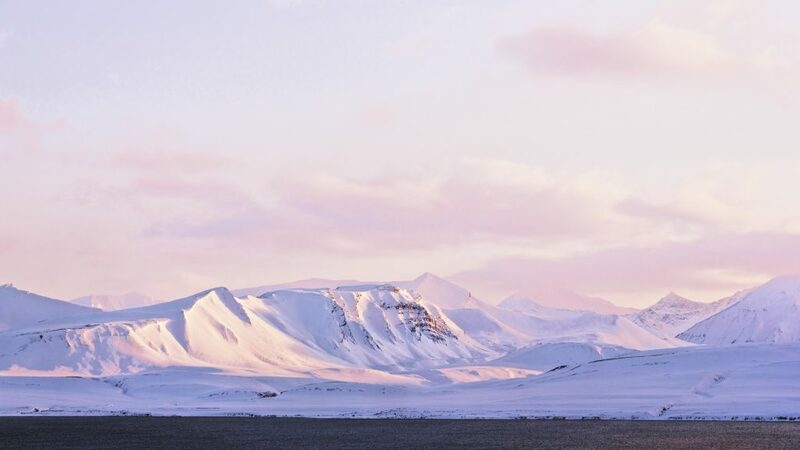 For a few weeks between mid-June and mid-July, the Arctic basks in daylight for 24 hours a day, an experience that’s ethereal and disconcerting all at once. Without a sunset, and with eth scenery overload, your body will seem to have a difficult time trying to sleep! During the winter months, between October and May, the Arctic is plunged in darkness and, as long as you’re happy enjoying land-based expeditions, you’ll see the Northern Lights in all their vibrant glory. When you choose to cruise the Arctic at the very end of cruising season (September) you can actually score the best of both worlds: you’ll still have plenty of daylight hours to soak up the starting scenery yet have at least four hours of darkness at night to spot the Northern Lights. For this reason, we offer a few very special cruises in September to take advantage of this exceptional month of the year. Expeditions like our Arctic Sights & Northern Lights and our Arctic Express, the latter ideal for active adventurers looking for some heart-pumping Arctic hiking. Large icebergs and snow-covered horizons make this period quite perfect if you wish to see this region at its most pristine white. 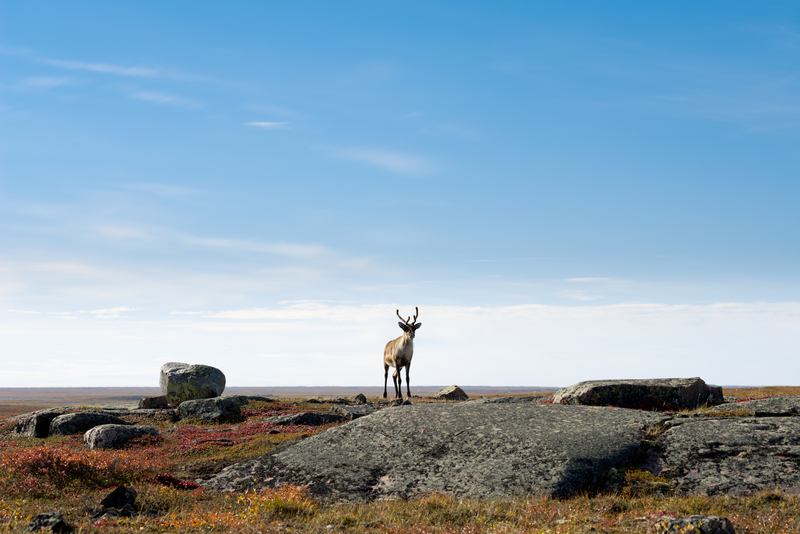 Be among the first tourists in the region as caribou begin their migration, although polar bears will still be hunting on ice floes so they’ll be harder to spot. Arctic flowers bloom, temps rise and the ice melts thanks to longer daylight hours, making this the ideal period for photographers. Explore further as the ice recedes and head to Svalbard to spot polar bears of Canada for sightings of rare beluga whales. As August progresses, crossings of the Northwest Passage begin in earnest. These are the best wildlife watching months of all. A few hours of darkness at night gifts chances for Northern Lights sighting, whilst still having plenty of daylight for wildlife watching and excursions. How long should you plan to visit? If you happen to be already in Europe then you could easily visit the Arctic for a long weekend. The question being…would you want to? Although we’d be the first to admit that any day spent in the Arctic is rewarding, the fact is that flights, accommodation and even short cruises in the Arctic are not the most inexpensive travel experiences in the world so making the most of it by planning to spend at least one week in the region is a good idea. Naturally, the longer your visit the higher the chances of spotting wildlife and enjoying a greater variety of activities. Our Arctic Expeditions range in duration, from 5 and 6-day escapes to superb 25/28-day adventures, with the greatest number of expeditions lasting either 8 or 15 days. These itineraries do not include your travel time from home, of course, so you must add up those days before planning your trip. See our full range of Arctic Expeditions. When it comes to budgeting, do keep in mind that Arctic Expeditions are not always cheaper just because they are shorter. A 3-day North Pole expedition at Barneo Ice Camp, for example, costs $28,000 due solely to the selectiveness and logistical expense of a visit. Generally speaking, Arctic expedition cruise prices range from as little as $1,500 all the way to $48,000 for the most comprehensive voyages to the remotest locations. A budget of between $5,000 and $10,000 will grant you a fantastic array of choice, both of destination and duration. Which ship is right for you? and many carry a plethora of fun gear which you can use. The crew of expedition vessels is also quite special and includes naturalist guides and activity coordinators who are experts at supervising land and water-based activities in these very harsh climates. Moreover, ships do range in luxury which means you can spend more for greater luxuries and save some money by opting to go without a few. Russian expedition ships are renowned for offering an old-world expedition feel and are rated among the toughest on the planet. 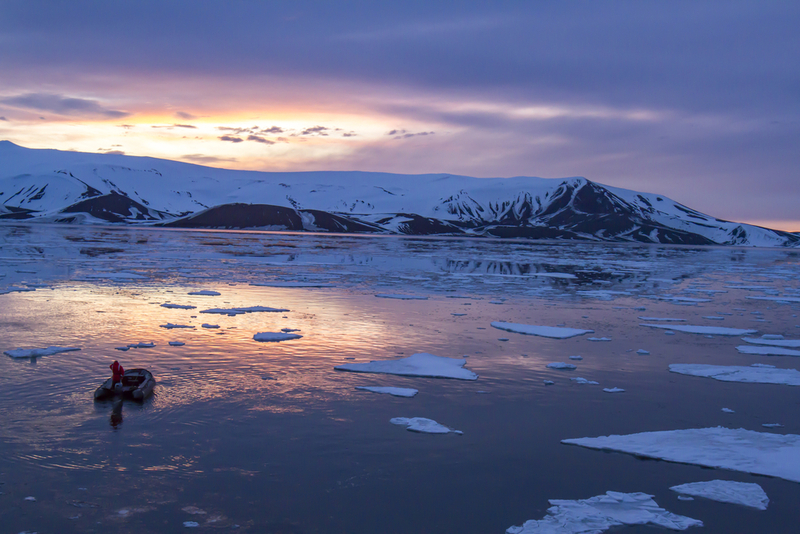 What can you expect from your Arctic expedition? Most Arctic expedition cruises are all-inclusive meaning you won’t have to worry about a thing and will, quite literally, want for nothing. From all meals to snacks, lectures on the wildlife and destinations and an array of guided on-shore and Zodiac excursions and entry fees to parks. Many will also include gear loan (of heavy jackets or boots, for example) and alcoholic drinks with meals. What all will usually not include are extra charges for onboard laundry services, activities using equipment such as kayaks and sleds and all transport charges to/from the airport and any accommodation before/after your cruise. What you may find surprising is to learn that ships can vary a lot in terms of amenities. Some of the more luxurious vessels boast saunas, jacuzzis and gyms so do let us know if there are some particular amenities you’re after and we’ll make sure you have the right vessels from which to choose. What all cruise vessels do have in common, is that they are staffed by a fantastic team of enthusiastic, expert and knowledgeable crew, all of whom are intent on making your experience a once-in-a-lifetime highlight. Fantastic gastronomic fare incorporating local specialities is just one of the highlights of our expeditions, as is the level of comfort, safety and luxury you can find on-board. And don’t worry if you’re not a fitness fanatic! The range of activities is there to suit everyone and, no matter your age or level of fitness, you’ll find a rewarding excursion or activity that’ll suit you to a T.
Not sure if you want a separate piece on insurance here? Also…do Arctic ships demand it like Antarctica ones? I would think so but best you confirm and I’ll amend below. The best way to travel to the Arctic with complete peace of mind is by taking out a comprehensive insurance policy which covers you for travel to remote locations, cruising, Zodiac activities and snow-based activities. The need for good insurance coverage is not due to the fact that a trip to the Arctic, or a cruise for that matter, is considered dangerous. But if something were to go wrong, it would be extremely costly to evacuate. Having said this, expedition travel does come with some added risks (as opposed to church admiring in Europe, let’s say) so it’s important that you’re covered for all those extra fun activities on offer, like dog-sledding, snow-mobile excursions, kayaking, glacier hiking and all the other things you don’t normally get to do at home. There are plenty of companies who deal with this particular type of travel insurance so if you’re stuck for options do give us a call and we’ll guide you in the right direction. Cruise the Arctic like never before aboard the newly refurbished Ocean Atlantic.